Home : Three Cadets Contract during Spring Quarter, Set to Commission June 2018. 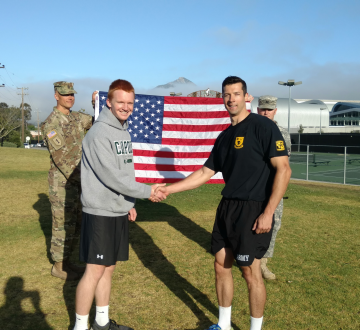 Three Cadets Contract during Spring Quarter, Set to Commission June 2018. 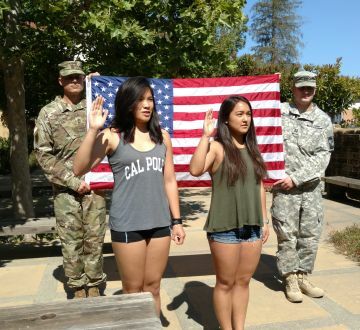 Cadets Erica Dorn (Computer Science), Zorana Tat (Architectural Engineering), and Eric Burstedt (Mechanical Engineering) completed their Oaths of Enlistment in the last week and will complete the 2015-2016 School Year as contracted Cadets. All three will continue on at MS3's next Fall and look to graduate by June of 2018.